I adore Victorian fashions and have been collecting 19th Century editions of Harper’s and other fashion magazines for years. 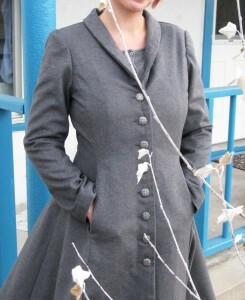 Now, with the Steampunk look in vogue, lots of our customers are looking for something with a hint of the Victorian. 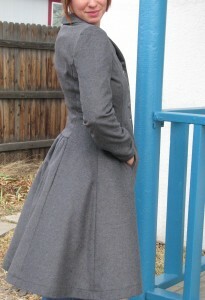 The real challenge of incorporating victoriana into modern day dress is that it can easily take on a costume look. Of course, costumes are awesome and have their place, but it is even more exciting to design something that can take its place in our normal everyday wardrobe. One of the best examples of our neo-Victorian pieces is this riding coat. 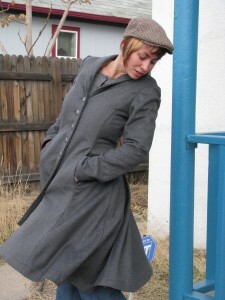 Inspired by Victorian riding coats such as the one shown in the fashion plate, the piece buttons up the front with a very full skirt, and small lapels. 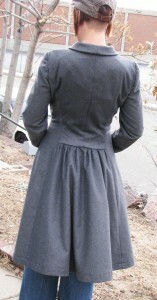 It has ruching in the back panel for a bustle effect, and the buttons are large, solid metal, and ornate. For fabric, we used a wool melton. Melton is a highly felted wool, and is usually seen on peacoats and military coats. 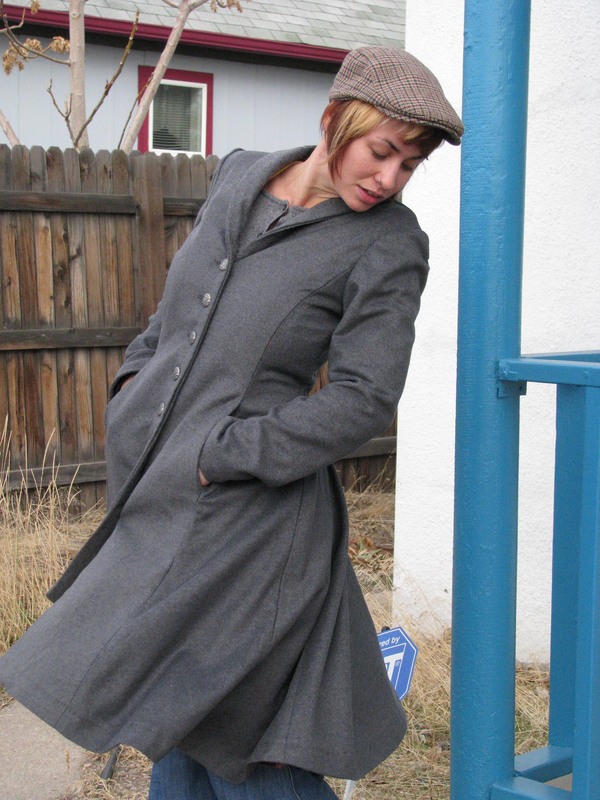 The felting of the fabrics makes for a coat that is more weather proof than your average wool coat. As with any of our pieces, we would love to design something just for you and to make it in your colors and choices of fabrics. So just let me know and I can sketch something for you. We can also adapt any Victorian or vintage style into a modern piece, so if you have had your eye on an old fashion plate, feel free to email me and we can talk more. 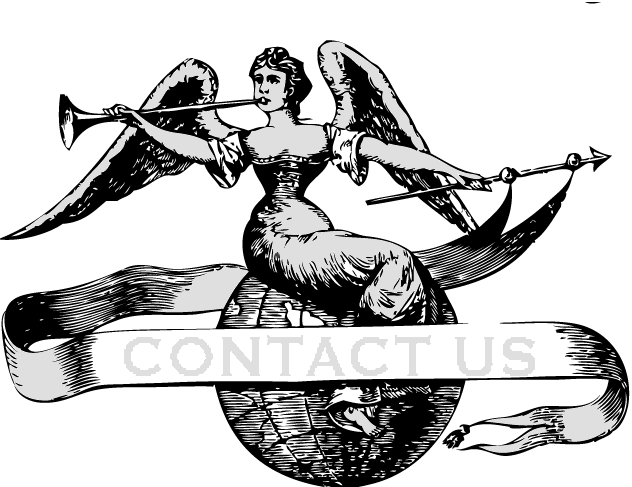 We would love to make you a Victorian bustle skirt or wedding dress. We are a small couture studio located in Denver, Colorado and we make clothing for customers all around the world.